On March 4, 2019, 2019, Governor John Hickenlooper (67) officially launched his 2020 presidential campaign. Hickenlooper was the mayor of Denver from 2003 to 2011 and served as the 42nd Governor of Colorado from 2011 to 2019. 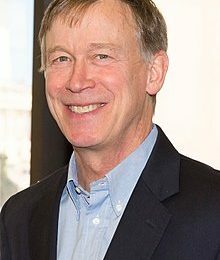 Hickenlooper graduated from Wesleyan University and was a geologist and owned a brewery before getting into politics. Colorado's former-governor-turned-presidential-candidate John Hickenlooper gets his fair share of pot questions on the campaign trail these days.